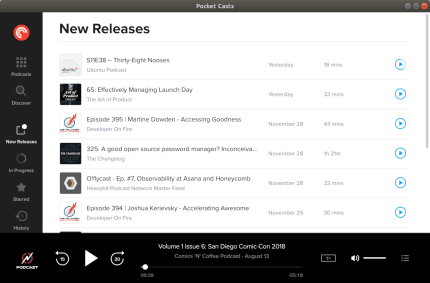 The Pocket Casts webapp, packaged for the desktop. 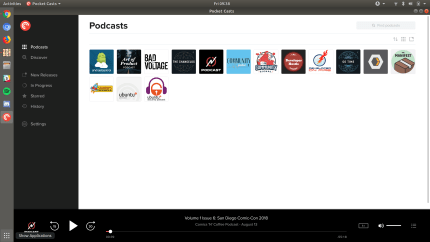 Pocket Casts is one of the best podcast / podcatchers out there. This is their webapp packaged as a desktop app. The actual webapp itself is the official code from Pocket Casts/NPR. This snap was packaged by Ricardo N Feliciano (FelicianoTech).